HBS's dealership management system, NetView, is designed specifically for Agricultural, Construction, and Rental dealerships. Netview is designed to be flexible which allows us to tailor each install to that particular dealer's specifications and needs. 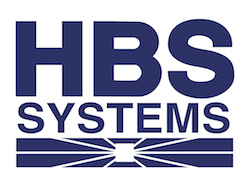 Only HBS Systems maintains fully-staffed training centers (The Learning Zone) in both the US and Canada to provide customers with ongoing, classroom & web-based system education. For dealerships upgrading from a competitive system, HBS offers comprehensive data transfer that includes the conversion of historical invoices. Dealers looking to invest in their first fully-automated system will find HBS offers a custom installation plan that ensures a smooth transition. When the installation is complete, HBS Support is always available with extended hours to assist with any issues that may arise. Upgrade today to the best dealership management system available. DIS Corp. is the largest independent provider of business computer systems to the machinery dealership industry in North America. Customers include farm equipment, construction equipment, forestry equipment, lift truck and utility equipment dealerships. Dealership business system functions include: full accounting, payroll, parts inventory control, unit inventory control, customer management, POS invoicing, service work order management, fleet management, rental inventory and invoicing, manufacturer/supplier interfaces, and an internet-based parts store. DIS offers both in-dealership and cloud-based business systems supporting PC, browser and tablet-based clients. For dealership staff on the go, DIS offers integrated mobile device apps for unit sales, along with full mobile business system access. Data conversion and onsite training are included as part of a DIS business system installation. Customers range in size from a single location with several workstations, to dozens of locations with hundreds of workstations. Founded in 1980, DIS currently supports over 2,500 dealership customers in the US and Canada. Click here for more information or call 800-426-8870. Powering your success with intelligent dealer solutions. With a strong track record of innovation for more than 36 years, CDK Global Heavy Equipment (CDK) IntelliDealer™ is an integrated Dealer Management System (DMS). By providing key performance visibility, ability to customize and improved efficiency, IntelliDealer is the DMS that’s ready for anything. CDK relies on its experienced in-house product development experts, in addition to feedback from its dealers, to build practical and powerful dealer management solutions. CDK works closely with the leading agriculture and construction equipment distributors across a range of brands including AGCO, Bobcat, Ditch Witch, JCB, John Deere, Kobelco, Komatsu, Kubota, CNH Industrial, Vermeer and Volvo. AgriSync remote support service for precision ag dealers provides great customer service with less paperwork. It allows users to see, solve and track agriculture support issues. AgriSync enables live video calling, allowing the advisor to see exactly what the farmer sees to help bring speed to resolution. Within the app, advisors can track their service time through a ticketing system and obtain instant feedback from customers. Charter Software Inc.'s ASPEN Business Management System is an affordable, scalable, integrated Windows-based system designed to increase ag equipment dealer’s communication and profitability across all departments. With mobile and rental functionality significantly better than its competitors, ASPEN is the clear choice for ag dealers. Track technicians' time in the field, view customer information, parts inventory and manage your business from anywhere. Charter Software also works closely with leading industry suppliers to develop OEM integrations that streamline ordering, reduce errors and minimize duplication of effort. Endorsed by multiple associations and manufacturers. Click here for more information or call 303-932-6875.
e-Emphasys ERP is the premier dealer management solution designed exclusively for heavy equipment dealerships in industries including farming and agriculture, construction, mining, forestry, material handling and more. e-Emphasys combines our repository of heavy equipment best business practices with the capabilities of a modern ERP platform to decrease operational costs and improve your bottom line. e-Emphasys ERP is a fully mobile, fully integrated, end-to-end solution that seamlessly manages every aspect of your business. The ERP system is accessible from any web browser and all Android or iOS mobile devices. We offer cloud or on-premise hosting options to meet the needs of your business as well as 24/7 support and the largest research and development team in the industry. e-Emphasys has a proven track record of customer success across the globe, with an unrivaled history of successful implementations and unparalleled customer ROI. Click here for more information or call 919-657-6565.